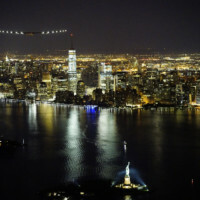 Solar Impulse 2 (Si2) – the first solar airplane capable of flying day and night without using a drop of fuel – left Lehigh Valley International Airport, Pennsylvania, late yesterday evening and landed at John F. Kennedy (JFK) International Airport, New York, early this morning, after circling the Statue of Liberty. By attempting the first solar flight around the world, pushing back the boundaries of the possible and taking on a project deemed impossible by industry experts, Bertrand Piccard and André Borschberg want to show that the world can be run on clean technologies. 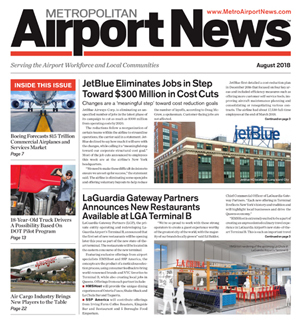 André Borschberg touched down at JFK International Airport on June 11, at 3:59am local time (UTC – 4) after departing from Lehigh Valley International Airport the previous day at 11:18pm local time (UTC – 4). 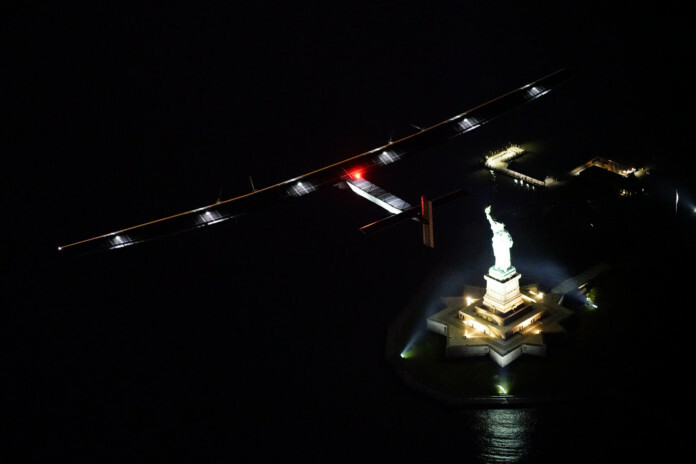 A flight of 4 hours and 41 minutes, conceived to fly around the Statue of Liberty and become a symbol that our world has the potential to thrive free of pollution. 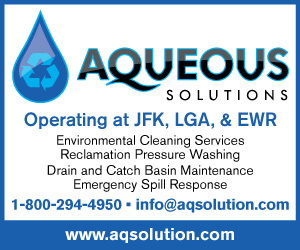 The arrival in New York City also marks the completion of the crossing of the United States Mainland – a journey that took both pilots, taking turns at the controls of Si2, through San Francisco, in the Silicon Valley; Phoenix, in the Sonora desert; Tulsa, the city of oil at the very heart of the tornado alley; Dayton, the birthplace of the Wright Brothers; and the industrial hills of Lehigh Valley, before reaching New York City, home to the United Nations Headquarters – a tandem achievement without a single drop of fuel. 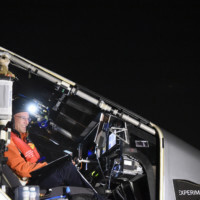 Bertrand Piccard arrived on the West Coast of the United States on April 23 at 11:44pm (UTC – 7), after having completed the Pacific crossing with a three-day and two night flight arriving from Hawaii. Since then, in each of the five stop – overs of this pioneering adventure through the continent, the project and its Co – Founders, Bertrand Piccard and André Borschberg, captured the hearts and minds of supporters. 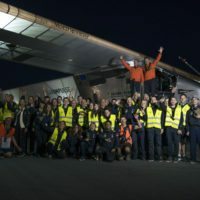 With more than 20’000 people visiting the airplane over a six – week period, four million live views on solarimpulse.com and 18 million people reached on Facebook, the Solar Impulse team is well positioned, both physically and mentally, to attempt the crossing of the Atlantic Ocean when the weather is right. 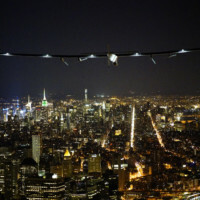 The flight from Pennsylvania to New York was the 14th leg of the Round-The-World Solar Flight. The mission will soon continue onward across the Atlantic Ocean to Europe or North Africa and Abu Dhabi in the United Arab Emirates where the adventure started in March 2015. By flying around the world with Si2, propelled solely by the energy of the sun, Bertrand Piccard and André Borschberg are making history with clean technologies. Solar Impulse’s energy efficient solutions can already be used, not only in the air, but also on the ground, and have the potential to change lives, societies and future markets in an unprecedented way.